LOT OF HOME FOR THE MONEY!! GREAT NEIGHBORHOOD with SOUGHT AFTER SCHOOLS!! Ready to move in!! Gorgeous 4/2 Home in sought after Eastwood Community with community amenities galore! NEW paint and carpet throughout home. Neutral colors in all rooms! NEW lighting fixtures, faucets, ceiling fans and 2-inch blinds throughout! Brand new roof!! 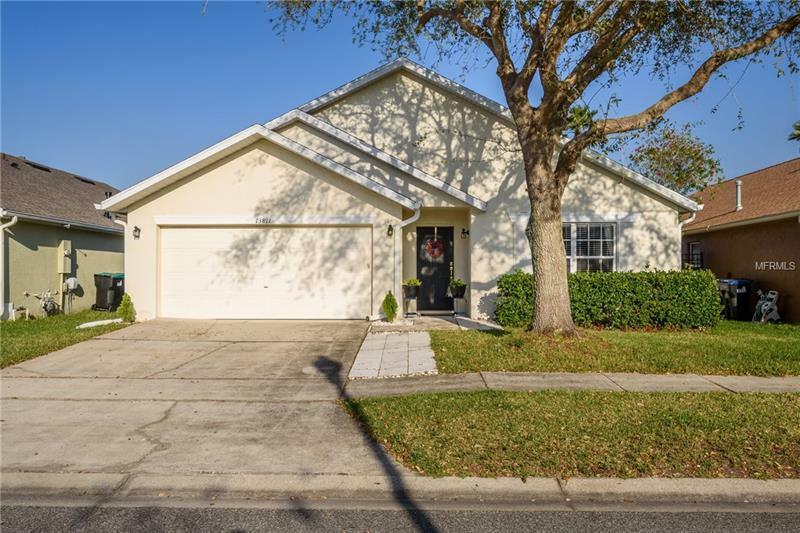 Home has tile in all wet areas, open upgraded kitchen with granite tops and new wood kitchen cabinets. Brand new stainless steel appliances. Nice size eat-in area and family room, as well as a formal living and dining room. Master with his and her walk-in separate closets and garden, upgraded bathrooms, inside laundry room. New gutters and no rear neighbors. 2 car garage with opener. Great schools- walk to Elementary school, right across the street! Eastwood has a community pool, playground, Boat/RV storage, plus many more amenities!!! !